Why to hire a Trek Agency in Nepal? Nepal has many hills and the valleys. They are always best landscapes for visitors to trek . There are many reputed trails and also remote wilderness treks in Nepal Himalayas. So, if you hire a trek agency in Nepal, you can save your time to deal with various complication. Travel or trek on your own risks you the burden of having to deal with each complication on your own. And sometimes, that in itself can be exhausted, especially for first-time visitors. Furthermore, a good trek agency will make sure that all of the complications such as arranging permits, accommodation, transportation and also visiting the heritage sites are caring good. You are totally free to spend your time in Nepal doing sightseeing or enjoying yourself with your travel mates. Besides that, trekking agency in Nepal will provide you with an English-speaking guide, and even porters while trek tour in Nepal. We recommend you to hire a trek agency to make your better trip to achieve unforgettable memories. Moreover, if you hire a trekking agency or trek operator company then they will take care of your internal flights in case of any delays or cancellations. 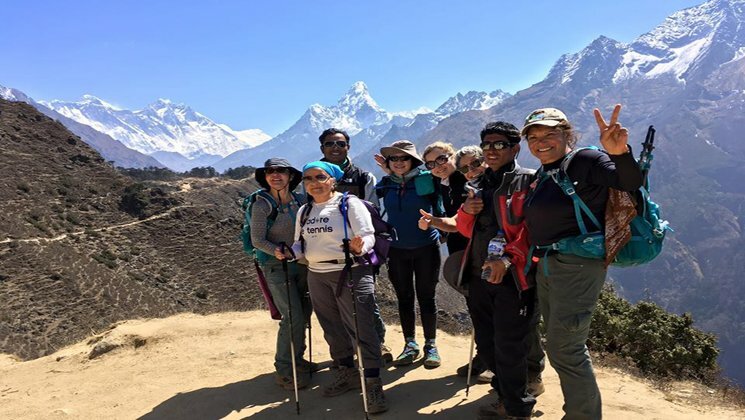 Gokyo Treks & Expedition is a trusted trek operator agency, has decades of experience arranging all types of the trek holidays in Nepal, take care of your travel holidays. You just name it, we have it all. Take a review about Gokyo Trek tour operator agency on Tripadvisor.